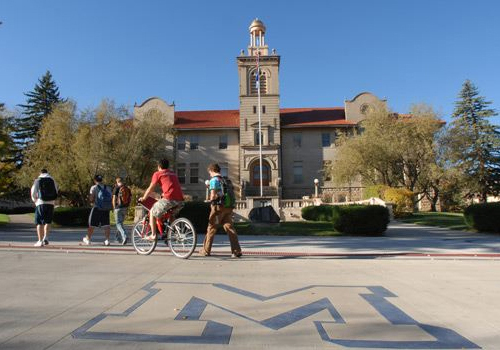 Perched on Mount Zion, high above the Colorado School of Mines campus, the school’s ‘M’ logo is illuminated every evening and can be seen from miles away. It’s a fitting symbol to acknowledge the Rocky Mountain State’s mining heritage, and every year during the first week of school, the incoming freshmen class are given a hard hat and an invitation to hike up to the ‘M’ to contribute a ten-pound rock to the formation. 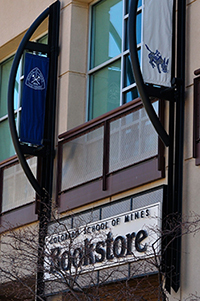 In the diverse portfolio of over 700 campus stores Barnes & Noble College operates around the country, the Colorado School of Mines, or simply ‘Mines’ as its popularly referred to, represents another unique campus with its own unique challenges — and the opportunities to provide a very individual way for the campus bookstore to support its customers. A public research university devoted to engineering and applied science, with a special emphasis in the development and stewardship of the earth’s natural resources, the school supports 4,200 undergrads and 1,200 graduate students. Supporting those students is just part of the function of the campus bookstore and Showers and his team do just that from what he describes as the ‘smallish bookstore’ Barnes & Noble College has been managing since 1999. 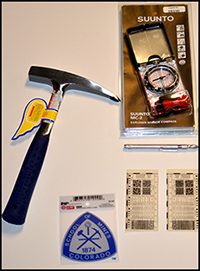 Examples of some of the unique merchandise sold in the Colorado School of Mines Bookstore. With little more than 2,800 square feet, the store generates some impressive revenues and provides the college with over 600 titles and textbooks, trade and school supplies, and a robust clothing business. Colorado School of Mine’s intercollegiate sports teams are known as the Orediggers who compete in the NCAA Division II and the Rocky Mountain Athletic Conference for all 16 varsity sports in everything from football, wrestling, cross country, soccer, swimming and diving and golf. Mines is also a top ten school in the country for athletics. “It promotes a really strong school spirit here,” Showers says, “and students, alumni and parents are always supportive of the school and the school merchandise,” he adds. Although some alums may head to the Texas mining and oil fields post graduation, Showers has been known to take an order to the post office addressed to a far-flung international engineering location. 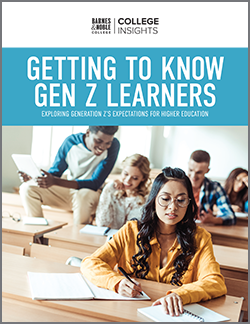 Among the store’s small general trade section, there are some surprising products you might not find in a typical college bookstore. “We carry picks and mining equipment, and other lines that are probably unique to us,” Showers admits. Along with items used in geology and the Brunton compasses required for many courses, the store also carries rock hammers, charts and vast quantities of engineering paper as well as chemical, petroleum and mining books. The bookstore also accommodates an Apple Computer store, as well. With its flourishing sports teams, some 170 student campus organizations and its location as home to an annual oil shale symposium, the Colorado School of Mines is a thriving campus. It’s also an increasingly relevant one at a time when the focus has shifted to domestically-sourced energy, and the race to create processes and products that enhance both the environment and the needs of modern technology. 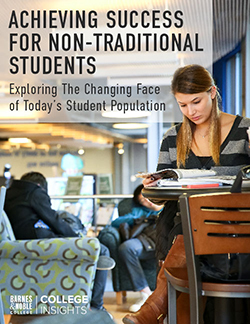 Yet for all its unique differences, the Colorado School of Mines is perhaps no different than any other institution Barnes & Noble College partners with. “It’s really all about taking care of one customer at a time, making it right for them,” Showers maintains. It’s a policy the bookstore adopts with everyone from the janitor to the President, and one reflective of the college it supports. And as Showers will tell you, at the end of their education, the outgoing students have the opportunity to reclaim a stone from Mt Zion, yet very few do. It’s perhaps symbolic of a community that likes to make things, and somehow leave the world a better place.